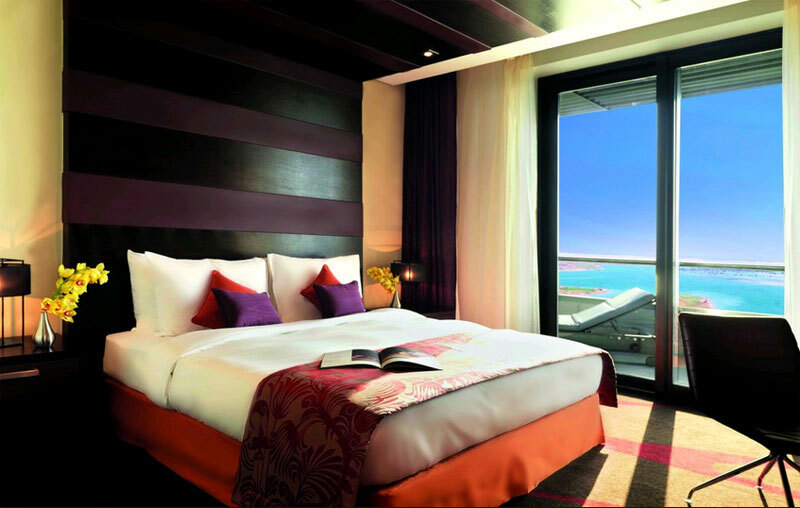 The Radisson Blu Yas Island offers luxury rooms and suites which boast breathtaking views of the Arabian Gulf. The hotel has a range of onsite facilities and services aswell as a great central location, just a short drive from shopping and entertainment. 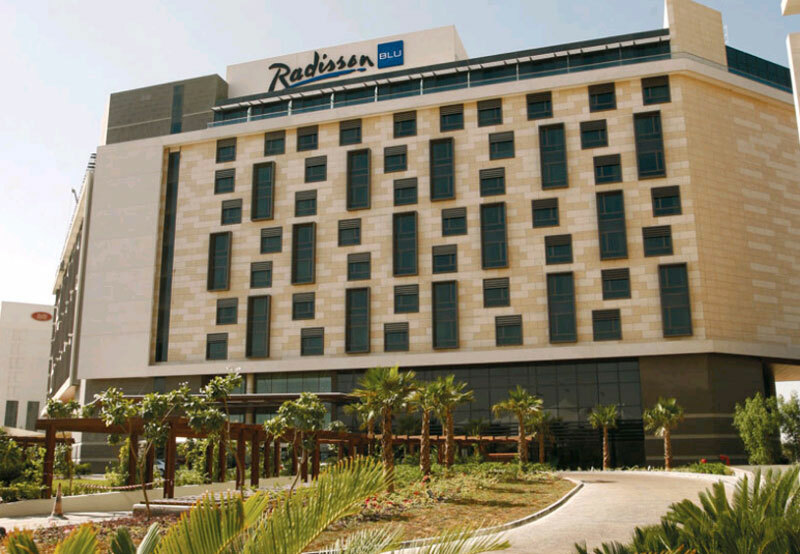 The Radisson Blu hotel offers a whole range of facilities including four bars and restaurants offering international cuisine. 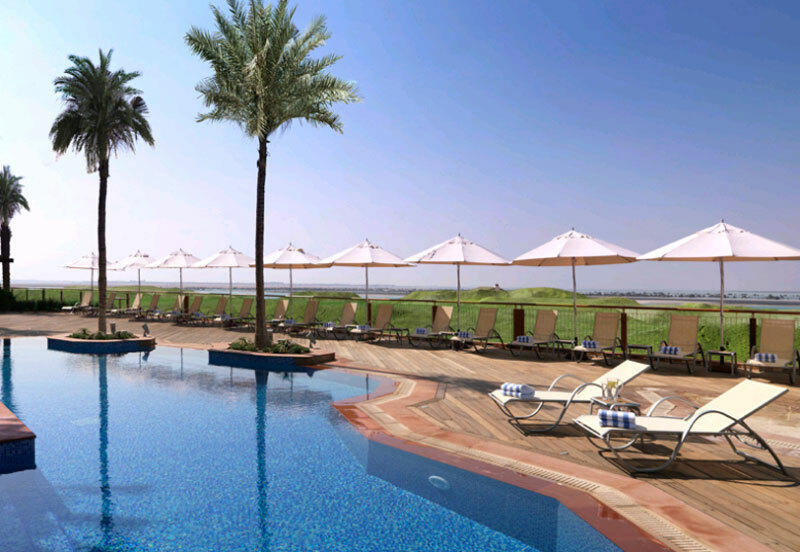 Outside you will find a large outdoor pool with stunning views over the landscaped gardens and Arabian Gulf. 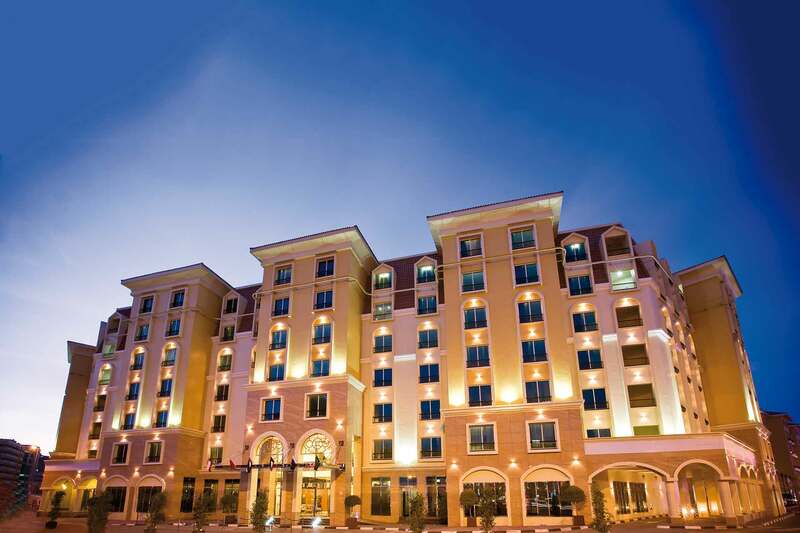 Guests can also use the large fitness centre, relaxing Spa and concierge service. Dine at one of the hotels gourmet restaurants and enjoy Italian dishes at the Filini restaurant or international cuisines at the Assymetri buffet. The hotel offers a luxurious spa service with a variety of treatments perfect for relaxing after a busy day in Abu Dhabi, for guests wanting to maintain their fitness there is an onsite fitness studio, tennis courts and a swimming pool. 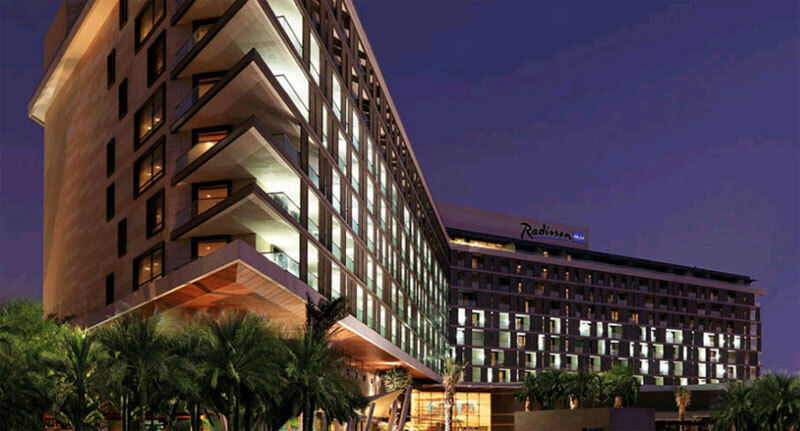 The Radisson Blu hotel has a total of 397 rooms and suites which offer stylish decor, modern furnishings and amazing views of the Arabian Gulf. All Rooms and suites feature amenities including: TV, high speed internet access, mini bar, ensuite, in room safe and coffee and tea making facilities. 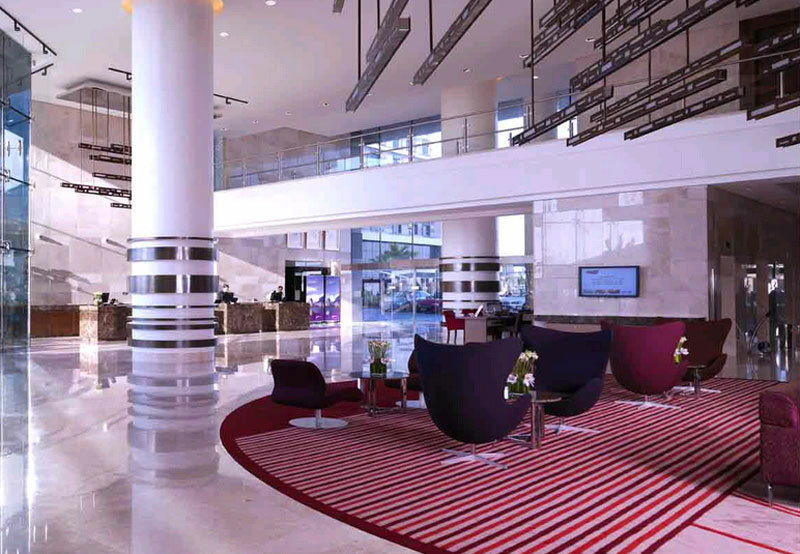 Combine a sophisticated city break with a dreamy beach holiday in glamorous Abu Dhabi. This modern metropolis is home to gleaming skyscrapers, palm-lined boulevards and so much green space that it's known as Garden City of the Gulf. Go shopping in futuristic malls or old fashioned souks, where you can pick up exotic spices, textiles and gold. Take advantage of world class spas, top notch golf courses and delicious cuisine. Check into some of the most impressive hotels on the planet, relax and enjoy impeccable levels of service. The coastline here is as pristine as the accommodation, with strips of white sand lapped by bathwater-warm seas. Head out of the city and find yourself in spectacular desert landscapes that have to be seen to be believed. All this and year round sunshine make Abu Dhabi one of the world's most up and coming holiday destinations – time to discover it before everyone else does. Abu Dhabi's desert climate means it's warm all year round, but it can get really hot in the height of summer. Visit from November to March for comfortable highs of around 25°C. There's so much to do on holiday in Abu Dhabi; from shopping to snorkelling, sandboarding to camel riding, golfing to strolling along the seafront Corniche. Head to the atmospheric souks for a traditional local experience, or go straight to the malls for designer treats. Find your own hideaway with a boat trip to the gorgeous secluded islands off the clear coastline, or head under water and discover stunning coral reefs. Visit the Heritage Village for falconry and lessons in the Bedouin way of life. The food and drink in Abu Dhabi is first class – and so is the service. Most hotels offer an excellent choice of international cuisine in-house. Elsewhere, the local food is aromatic and incredibly tasty. Coffee are integral to life in Abu Dhabi and many also serve up shisha pipes. Abu Dhabi remains quieter in the evenings than its nearby neighbour Dubai, but there's still plenty to do. 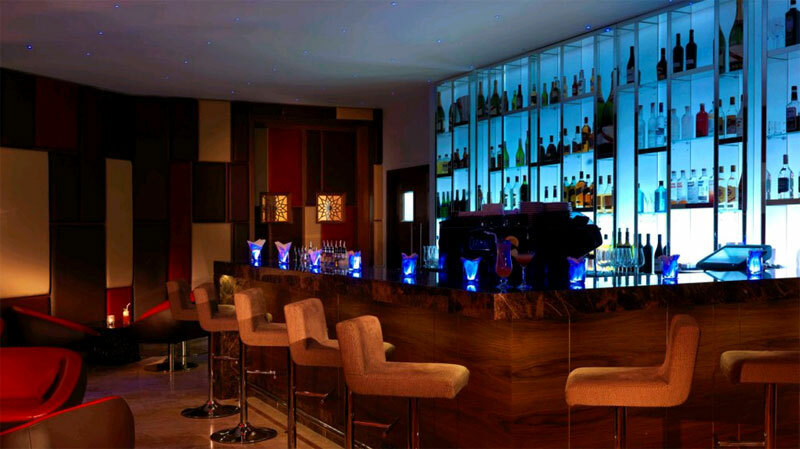 Many hotels have on site bars and clubs and there are an increasing number of late night venues elsewhere in the city. Start an evening with a stroll along the atmospheric Corniche and you'll find somewhere to suit your mood – whether it's a chilled out meal on the seafront or a late night out. Please keep in mind that alcohol consumption is allowed only in bars and on other designated premises and that drinking on the street or in other public places is strictly prohibited. Guide price is per person. Based on 2 people sharing for 4 nights on Room Only. Flying from regional airports. Year round departures. All overseas transfers included.